Does water matter? Sure, in marketing material there’s talk of hidden springs, deep ocean water, melted icebergs, rushing rivers, secluded family wells, and just about every other form of exotic water on earth… but how can you discern its impact on your vodka if you don’t have anything to compare it to? 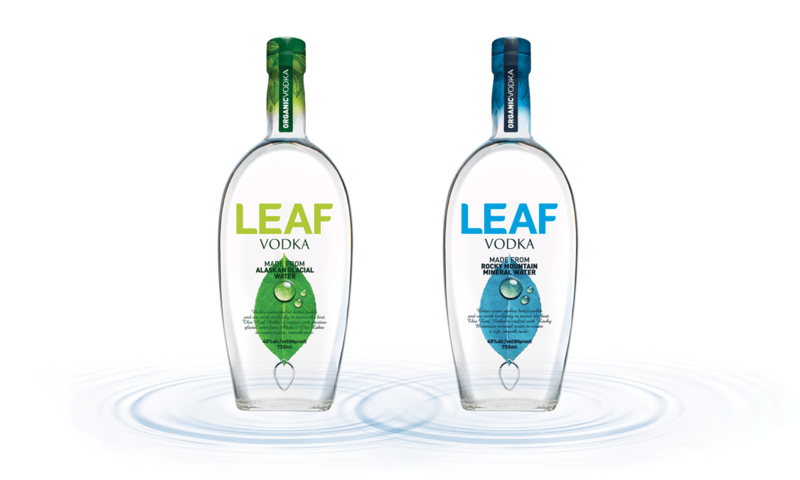 Enter Leaf Vodka, which offers two expressions of vodka that are presumably made the same way, distilled five times from organic wheat in Temperance, Michigan, but which are brought down to proof with two very different types of water. In the green corner we have Leaf Vodka, made with Alaskan glacial water. In the blue corner: Leaf’s vodka made with water from the Rocky Mountains. How do they compare? Let’s find out! Both expressions are 80 proof. Does water make a difference? In Leaf’s case, there’s a clear distinction between these two spirits, and presuming there’s no doctoring aside from the water that’s added, it’s proof plenty that you should definitely be paying attention not just to the mash and the type of still they use to make your vodka, but the water source as well. Recipe: Lemonade Cocktails From the Thoroughbred Club – Charleston, S.C.